The final three Auto Value and Bumper to Bumper grand prize winners of the Perfect Stop Powersports Giveaway sweepstakes have been selected and are riding the last waves of summer in style. The three lucky grand-prize technicians will select the powersports vehicle of their choice. A total of six grand-prize winners had their choice of any road, trail or water powersports vehicle valued up to $15,000 with this sweepstakes. Winning was not limited to powersports vehicles, as more than $25,000 in VISA gift cards also were given away to 150 technicians. In both drawings, these winners received a gift card prize valued up to $500. 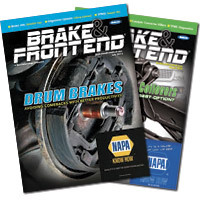 During the months of June and July, professional technicians in the United States and Canada received a sweepstakes entry for each and every Perfect Stop product purchased – including pads, rotors, calipers and cleaners – for a chance to be a Perfect Stop Powersports Giveaway winner. MyPlace4Parts users were automatically entered with each Perfect Stop purchase. 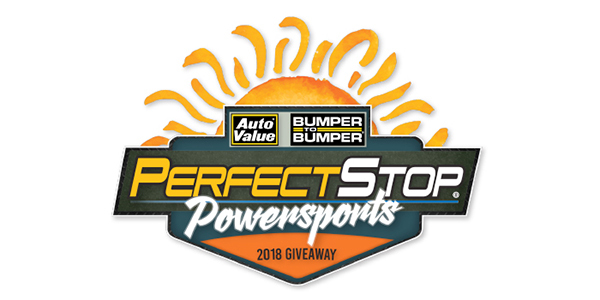 The Perfect Stop Perfect Summer Powersports Giveaway is a yearly sweepstakes sponsored by Auto Value and Bumper to Bumper. For the complete list of winners, visit perfectstopsummerpromo.com.